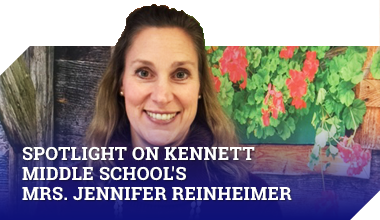 A child shall be considered a resident of the Kennett Consolidated School District if either his/her parents or the legal guardians of his/her person reside in the district. If a child’s parents or legal guardians are divorced or separated, he/she shall be allowed to attend district schools if his/her custodial parent or legal guardian resides in the district and he/she resides with the custodial parent or legal guardian. A resident shall be defined as one having lodging and an actual physical presence in the district. The superintendent shall have the power to require proof of residence by a sworn statement and by other criteria. Parents should call the school when a student is absent and must send a note to school. The note must include the date, reason for absence, and parent signature. This note must be received within three (3) school days in order for the absence to be excused. If the note is received after three (3) school days, the absence will be marked unlawful/unexcused. The social worker shall report the status to the appropriate administrator on an ongoing basis. In instances when a student’s absences or lateness to school become chronic or irregular, the school will require a physicians note. If a physicians note is not received within three (3) days of the absence, the absence will be marked unlawful/unexcused. Generally, a doctor’s note will be required once a student misses more than ten (10) absences during one school year. When the parent or guardian comes to the school office for his/her child, he/she must present identification, sign a registry, and record the date and time of dismissal. If the student legally drove to school, the student must report to the office and sign out. Upon his/her late arrival, students must present a written excuse signed by a parent or guardian. The note must clearly indicate the reason for the late arrival.